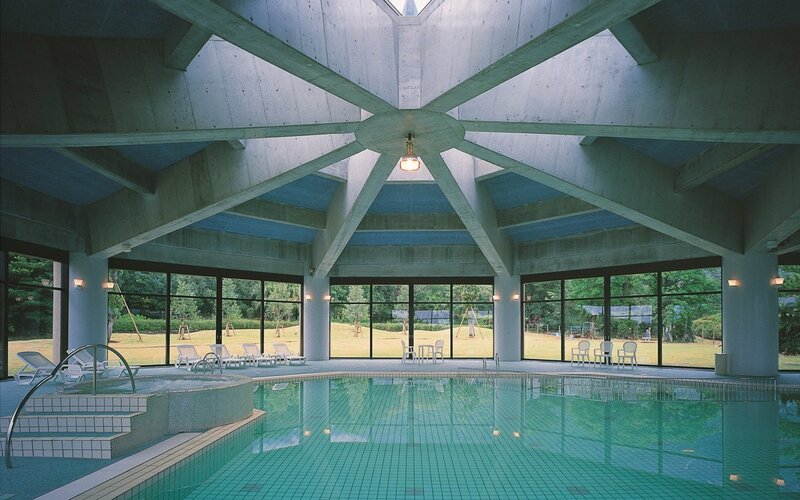 A swimming with Jacuzzi which allows you to relax and experience a feeling of the resort. 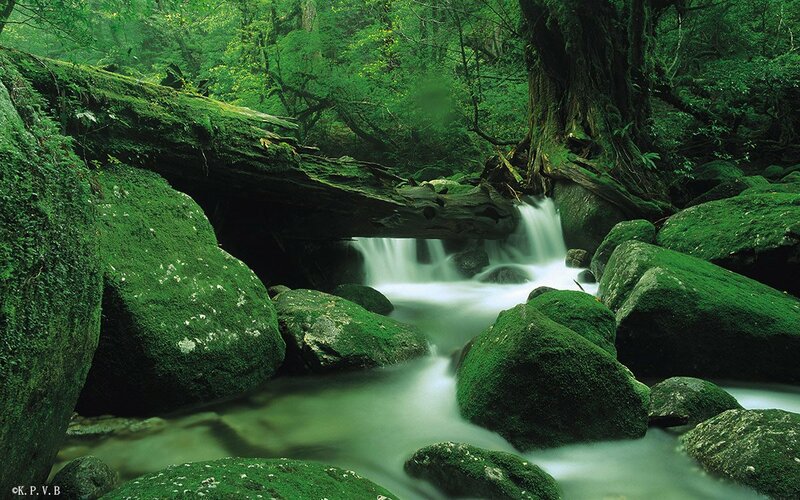 From the window, you can enjoy the beautiful scenery of the nature in Yakushima. The glitter green from the window is absolutely beautiful and it will be an extra essence to your stay. Kami no Yu is used plenty of Yaku-Cedar to create a tranquil time and relaxing space. 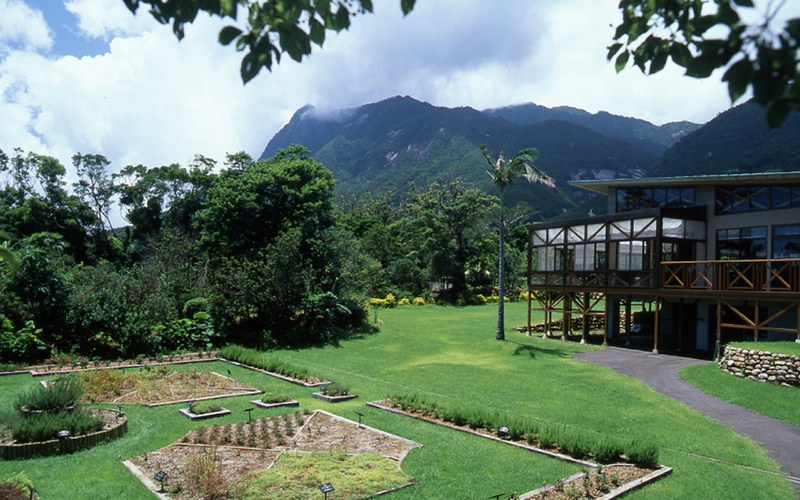 It also has an open-air bath which allows you to have a view of magnificent mountains of Yakushima. 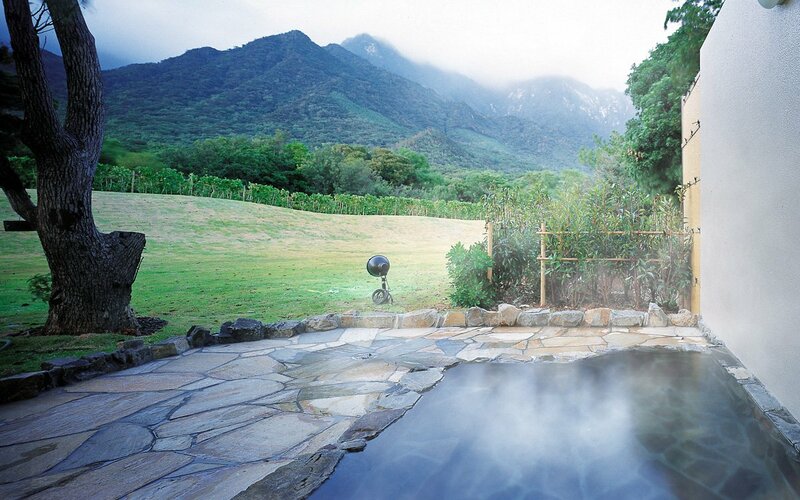 Its natural hotsprings and the beautiful view from our Kami no Yu will relieve the weariness of the journey. 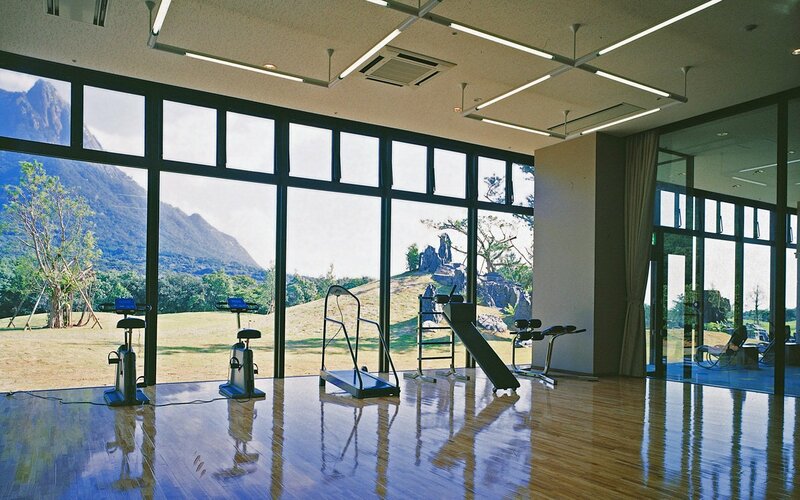 An open gym where you can exercise with a beautiful scenery in front of you. You might be given an illusion that you are exercising in the nature. A garden which is full of nature and is located in only ten minutes driving distance.